We focus on people; foster connected relationships supporting a foundation of trust and confidence; which directly contributes to the successful management of your property. We offer Strata,Rental and Commercial Property Management services throughout Metro Vancouver, the Fraser Valley, Whistler/Squamish, and the Okanagan Valley. Our offices are located in Vancouver, Surrey, Whistler and Squamish, with our subsidiary, Pacific Quorum (Okanagan) Properties Inc. having offices located in Kelowna, Penticton, Salmon Arm and Sicamous. The Company was founded in 1997 by John G. Peccia, and has grown into one of BC’s largest locally-owned and operated Property Management service providers. We have been recognized as one of Canada’s Fastest-Growing Companies by Growth 500 (previously Profit 500) for 6 consecutive years (2013 to 2018). 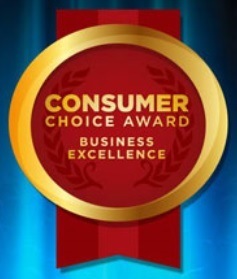 We have earned numerous service awards, most recently being awarded the 2019 Top Choice Award as Vancouver’s Top Property Management Company! Our Core Values drive our day-to-day operations, from the people we hire to our service deliverables. Pacific Quorum offers property management services for residential properties (ranging from small properties and townhomes to large towers, and recreation centres), commercial properties, strata-titled hotels and seniors facilities, and investor-owned rentals. We currently service over 29,000 strata corporation, co-op, leasehold and rental units. Each of our clients receives experienced, professional and responsive service from our Property Managers, Administrators, and Accounting staff. Our Property Managers enjoy smaller, more manageable geographically-arranged portfolios, and team-based administration and accounting support. Our Accounting team produces timely, accurate financial statements for each property we manage, using specialized property management accounting software, Yardi. Our Property Accountants follow stringent guidelines and policies for all aspects of the services provided, to ensure continual compliance with the requirements of the Real Estate Services Act, Strata Property Act and Residential Tenancy Act. Each Property Manager is assigned a dedicated Property Administrator, who provides customer-focused support and assistance to Council members and owners in the absence of the property manager from the office. Our team of Administrators are very knowledgeable on the properties within their Property Manager’s portfolio, and pride themselves on the timely distribution of accurate, high quality documentation (meeting minutes, notices, letters, etc). Food Bank: Pacific Quorum hosts an annual Food Bank Drive with our staff and clients. To date, we have raised over 18.8 Tons of food, which is enough food to provide meals to over 30,060 people!!! Cancer Charity Support: Pacific Quorum provides sponsorship support for various charities, benefiting the BC Cancer Foundation. Sports Sponsorship: We provide sponsorship for various local children’s sporting teams. in Vancouver (2011 to 2019). Growth 500 (previously Profit 500) named Pacific Quorum one of Canada’s 500 Fastest-Growing Companies (2013 to 2018).